Haute Claire is a hyper-real perfume. A turn-up-the-volume-to-11, bordering on psychedelic perfume. Its galbanum is the most vibrant kelly green you’ve ever smelled and the ylang ylang buzzes at a fever pitch. It would be safe to assume that these two powerhouse essences might engage in a battle of wills, but they don’t. They join forces and hum along at a high frequency, one that is spirited and very intriguing. As expected, galbanum is sharp and intense, but Haute Claire’s creator, Mandy Aftel, has ramped up its musty side which gives some density but in no way mutes the excitement of the ylang ylang merger. Mandy has used ylang ylang co2 in Haute Claire, which according to her allows it to be a top note which explains the nearly electrifying burst of this blossom right out of the bottle. The concentrated galbanum/ylang duo gives way, but not fully, to the emergence of yet another commanding aroma, honeysuckle. Now I like galbanum, and I’ve learned to appreciate ylang ylang’s place in perfume, but I truly adore the scent of honeysuckle. Mandy has sourced a very rare, Italian made honeysuckle absolute which breathes even more magical realism into Haute Claire. Imagine the blossoms the moment before they fall upon freshly cut grass. The weight of nectar, dew, and the beginnings of decay aid gravity in their descent. Now imagine that you can feel the pulsating of the blossoms and you wonder if you’re hallucinating. It’s like that. Haute Claire is as fecund and heady as a stargazer lily, but doesn’t consume the air like that flower is wont to do. Haute Claire wears amazingly close to the skin and even though it might cause its wearer to feel mild intoxication, one would have to step in close to share in the experience. The drydown doesn’t seem to occur until many hours after application when a downy, almost powdery scent comes to life. It smells a bit like burnt sugar and rose. Mandy has used another intriguing ingredient, *ethyl phenyl acetate, which I have never smelled on its own, but I imagine it, as well as vetiver, contribute to the final softer and gentler Haute Claire. Mandy Aftel has generously offered a 5ml purse spray to a lucky Scent Hive reader. Just leave a comment and you’ll be entered. Follow Mandy on Twitter and you get an extra entry. Follow Scent Hive and that’s another one. Please let me know about your follows in your comment. Drawing Closed. *If you are curious about ethyl phenyl acetate, Mandy’s is an isolate from fruit, wine or whiskey. I do believe it can also be derived from petroleum, but not in this case. There is much discussion about the use of natural isolates in botanical perfumes, and at this moment, I feel comfortable with it. I might change my mind, but I encourage you to do what feels right for you. 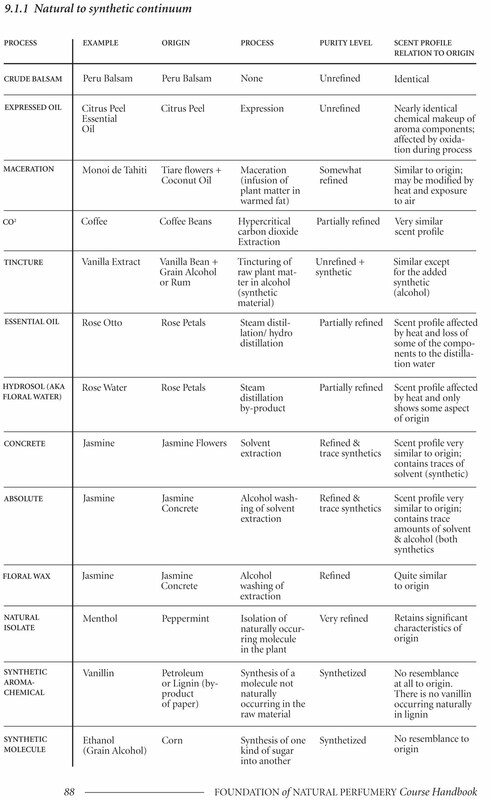 Below is a guide from the Ayala Moriel Foundation of Natural Perfume Course which she posted in her What is Natural? post on SmellyBlog. It is really helpful in sorting out the ingredients. Disclosure: A sample was sent to me for consideration by Aftelier Perfumes. Opinions in this review are my own. I was not financially compensated for this review or any other. I’d love to be entered in the giveaway, Trish! I’ve been really curious about this scent and your description is intriguing. I would love to try Haute Claire as I’ve read so many nice things about it. And I love both galbanum and ylang-ylang. As always, the most amazingly descriptive review, Trish!! I would love to try this scent! Thanks for the chance! 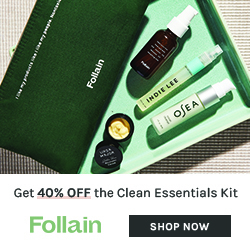 You had me at “kelly green galbanum” – please enter me into the draw. I’m addicted to all things Mandy, especially her Shiso. Thanks for the opportunity. hmmm sounds really yummy-I love honeysuckle-reminds me of summers at Point O’ Woods on long island where it grew everywhere. I would love to try Haute Claire. Thank you for offering this! I follow ScentHive and AftelierPerfume on twitter. I’d love to be entered in, as I’ve been curious about the scent for some time now. Thank you! Oh yes please enter me in the draw! I have one of Mandy’s books and have been intrigued by her concepts of perfumery for a while. I would LOVE to try Haute Claire. I am twitter-lame, so this will be my only entry. Galbanum and Ylang! How fun and exciting. This is a very intriguing blend that I would love to experience. I follow you both of Twitter. Hi Trish, I’d love to try Mandy’s Haute Clair. Your description of it is delicious! I also love honeysuckle, and this review has really made me want to try haute claire! I would love to try Huate Claire. Ylang-ylang is one of my favorite essential oils and to be mixed with galbanum would be a lovely contrast. Your review is intriguing, it would be lovely to be intoxicated by this scent. Thank you fo the offer. Opps, forgot to say, I follow you and Mandy on Twitter and FB! Thank you Trish, what a splendid review! I love your very smart writing about fragrance – sparkling imagery and wonderful details about the ingredients. I was glad to find an organic source for the natural ethyl phenyl acetate in Haute Claire. Loved your description! Makes me want to try this scent even more. Haute Claire sounds like one the most intriguing scents on the market. Been following for a while, & can’t believe I haven’t ordered a sample yet! Great review and I follow Aftelierperfumes and scenthive on Twitter! “and the beginnings of decay” — my favorite part of floral smells is right as they’re starting to decay… any and every perfume that skirts this line is one I’ve got to try. I’m glad you used those words, this review of Haute Claire has piqued my interest the most of the ones I’ve read so far. Thanks Trish! Whoops, forgot to mention I follow both of you on Twitter! it’s exactly the use of a natural isolate which entices me about this perfume! unnatural isolates, as it were, are exactly what turns me off about synthetic aromas. every description of this creation makes me excited to experience this multifaceted little brainchild! i follow both mandy and yourself on twitter… my followers are generally interested in natural perfumery/essential oils/light/ the general ramblings of someone probably sniffing out of one bottle of something or another…. This sounds truly delicious! I follow both of you on Twitter; my username there is kittylitter1. I would love to win this Haute Claire!!! I already am a friend on FB and I already follow Scent Hive. Does that count as extra votes? Oh I hope so!! LOVE Mandy Aftel and everything she creates! I loved reading all your wonderful comments, thank you all! Good luck to everyone and thank you to Mandy for the generous giveaway. I have read Mandy’s book “Essence and Alchemy” multiple times. It is interesting to read this review because I feel like I am wearing it and smelling it even though I’ve never been exposed to Haute Claire. Thank you! wow ~ what an altogether intoxicating description! 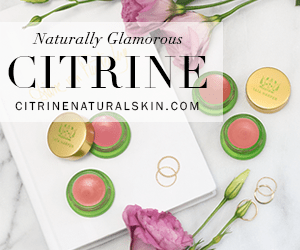 i can only try to imagine how intoxicating & incredible ‘haute claire’ must be … so yes, please enter me in the drawing! i follow both mandy and scent hive on twitter too. 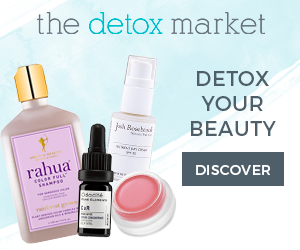 galbanum, honeysuckle, & ylang ylang, oh my! Please enter me into the draw (I’ve been following both Mandy and Scent Hive on twitter for a while so I don’t know if it gives me any additional points or it’s “new customers only” 😉 ). lovin the sound of this perfume. would like to love the smell as well! send me some! This perfume sounds heavenly. A few of my favourite single notes and reference to the stargazer lily was the clincher! I have read Mandy Aftel’s book, Essence and Alchemy, and love to read about fragrances, follow the blogs/websites and of course, smell my way through department stores, etc and send away for samples. I long to try the reknowned Cepes and Tuberose, but would love to try any Aftelier scent!!! I do not have a twitter account, but do follow Aftelier on facebook. I have read many reviews on Aftel perfumes and wish I could find them to test them out….So please enter me in the draw that that could happen. Thanks. Heart Honeysuckle! Should be flowering in the next few months here in Oz, there are loads of it in the gardens of my suburb, making my regular meanderings about the area rather special during the spring and summer months. Thank you Mandy and Scent Hive for this wonderful draw! I don’t know if I qualify for the giveaway, since I’ve already smelled Haute Claire, but I only have a few drops left in my sample, so I’d love the purse spray! 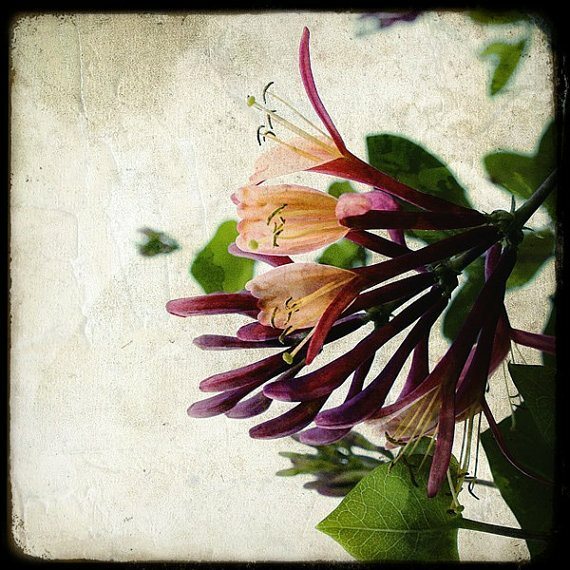 Love honeysuckle, and perfumes that wear close to the skin. This sounds intriguing. Honeysuckle! On Demand (instead of randomly encountered in neighbouring gardens in the evening)? Now *that* would be heavenly. Love your description of this; you paint such a vivid portrait. Forgot to say I follow both of you, too.